Looks like a newer A12, distributor is at mid-block. 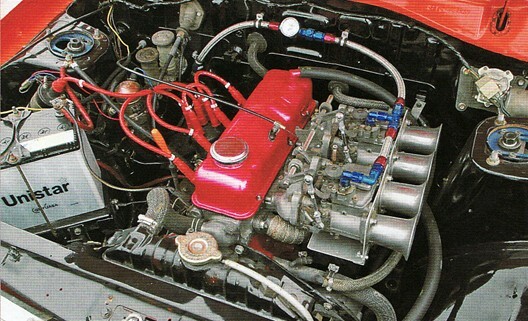 The red valve cover looks just right. where could you get a new one?? Those stacks look effective, big flares on them. From the Nissan dealer, that's where you'll get a new one. Or your local Nissan forklift dealer. Why buy 'rebuilt' when you can have 'brand new'?